So your doctor just told you you're way, way behind on your potassium intake. That's super important, because potassium has all kinds of health benefits (or so we've heard, anyway). But it would take an entire pallet of bananas to get you caught up. It's an awesome fruit, but there's no way you could possibly eat the necessary amount (and plus, our financial advisors tell us banana prices are ticking upwards)! 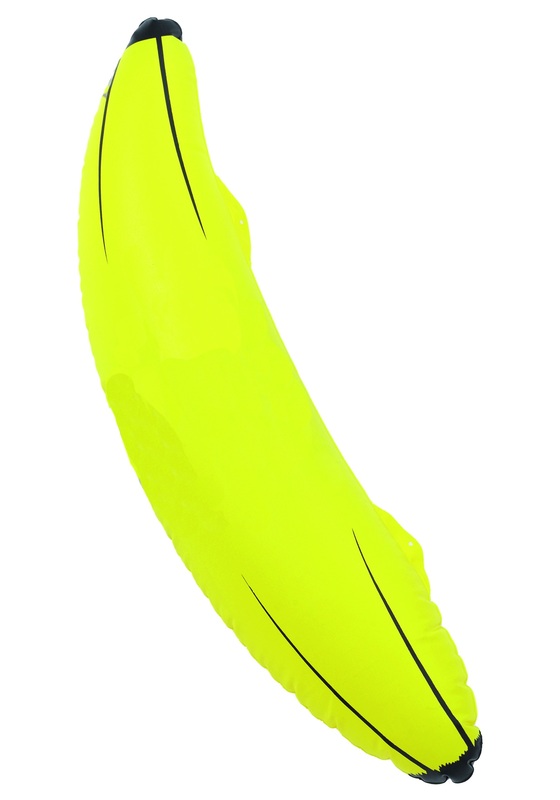 That's why we suggest this super convenient, potassium-rich, and delicious Inflatable Banana! Okay, so you can't actually eat it (as yummy as it looks), but it has so many uses it might as well be as good as potassium (which we still totally recommend you get a dose of once in a while). At over two feet long, its larger-than-life size matchers your awesome King Kong costume, and if it's not Halloween, this banana also just makes a great decoration. No home should be without one!